Beautiful *Misiones del Cabo* is an architectural masterpiece nestled into the natural cliffs overlooking the Sea of Cortez and El Arco, featuring convenient location, dramatic views, safe swimming beaches and a wide range of guest services! Overlooking the azure blue waters of the Sea of Cortez, this luxury, five-star resort is just minutes (2-1/2 miles) from downtown Cabo San Lucas - Baja California's exciting commercial and entertainment center. 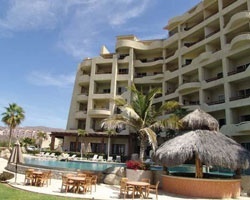 For more information, visit www.cabovillas.com. 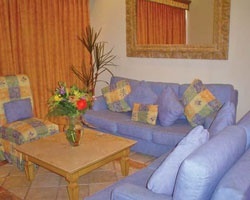 Presidential Suite with Jacuzzi for annul week 52- New Year's Week! 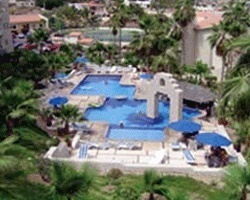 Spectacular resort with views of El Arco & the Sea of Cortez! Yearly usage in Red season week! 60 weeks left with RTU until 2036! Price negotiable! 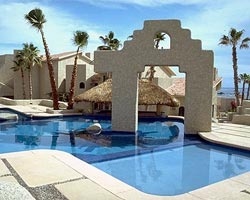 Dazzling resort on the Sea of Cortez! Yearly usage in Red season week in a Presidential suite! Priced to sell!